Every year, the national and international jewellery and watchmaking industry presents its latest trends at Inhorgenta Munich. 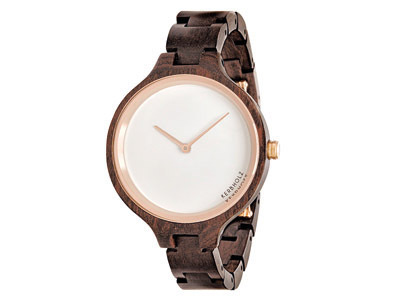 One thing is already clear for the forthcoming trade show: wooden watches are on the rise. But this is not the only news in Hall A1 ‘Timepieces’. The Fossil Group has signed up once again for 2017 with an exhibition space of its own and brands like Victorinox, Guess, Doxa and Traser H3 will have their premiere at Inhorgenta Munich from February 18 to 21, 2017. Besides jewellery, watches will take centre stage again at Inhorgenta Munich 2017. For the first time ever, the history of watches will be presented in Hall A1 ‘Timepieces’ which also offers the opportunity to take a look into the future of timekeeping devices.